In recent years, online bingo and online casino have merged more than ever and with popular mainstream sites like William Hill Bingo and Foxy Bingo putting a heavier focus on their casino and slots side of gaming, dedicated bingo players who have been loyal for years, feel like they are getting a raw deal. “Sites need to listen to their players”. Obviously you can’t tar each and every bingo site with the same brush and you can’t please everyone, but these players I’m sure have not come to these conclusions lightly. 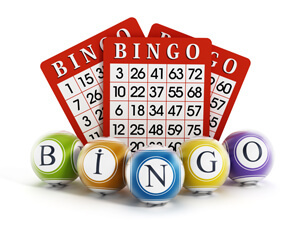 Let’s be honest, the main reason bingo sites incorporate more slots, instants and casino games is because that’s where the serious money comes from. Casino players wager more money faster, which creates bigger jackpots, bigger crowds and bigger wins. Research shows that traditionally, men play these games more than they do bingo, and the industry is always on the lookout to find ways to grab a larger portion of the testosterone filled population. There’s nothing wrong with admitting that. 888Poker is totally marketed towards blokes, you only have to look at their homepage to see that. Gone are the days when the simple addition of Fluffy Favourites next to the bingo chat box was a bingo sites version of Instant Gaming. Now there’s tabs upon tabs of Casino, Live Casino, Vegas, Poker, Roulette, Tournaments, Scratchcards etc. It’s only a matter of time before the brands that have the words Slots and Instants in their Lobbies will be renaming them Casino and Las Vegas. Maybe one day they’ll offer a trip to Vegas with a wad of cash as a jackpot prize!